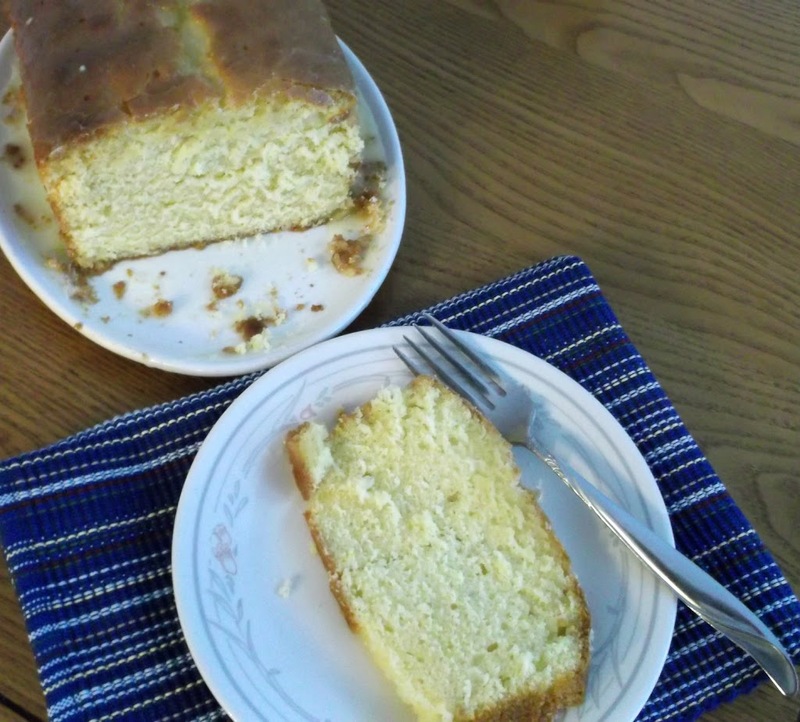 When I am looking for a cake recipe that is both delicious and easy to make I usually look for a pound cake. Last week that was exactly what happened, I wanted to make a cake but didn’t want to mess with making frosting, I just wanted something simple. 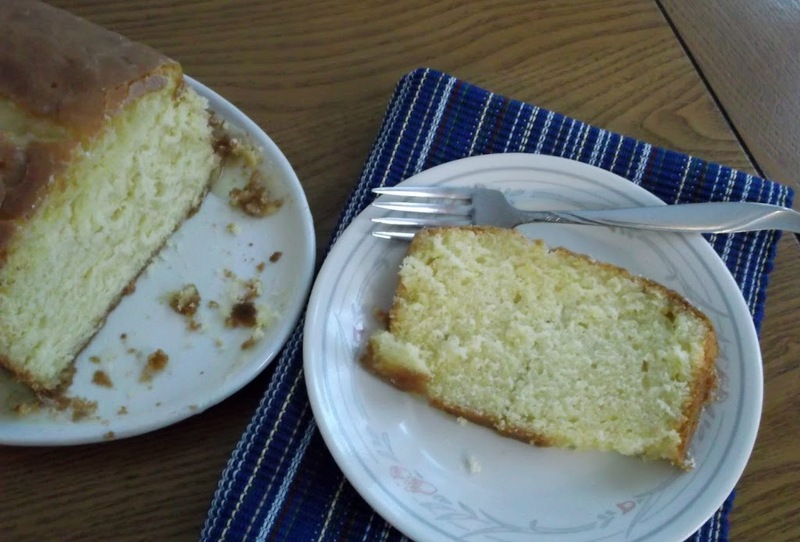 The cake that was chosen turned out to be an orange pound cake. As we sat enjoying this lovely simple cake, Mike asked me. “Why is this cake called a pound cake?” Well I didn’t have an answer for him. And if you are sitting there thinking the same question as you read this, here is what I found out. Years ago a pound cake was a rich cake that contained a pound of flour, butter, sugar, and eggs. There were no leaveners that were added besides the air that was whipped into the batter. 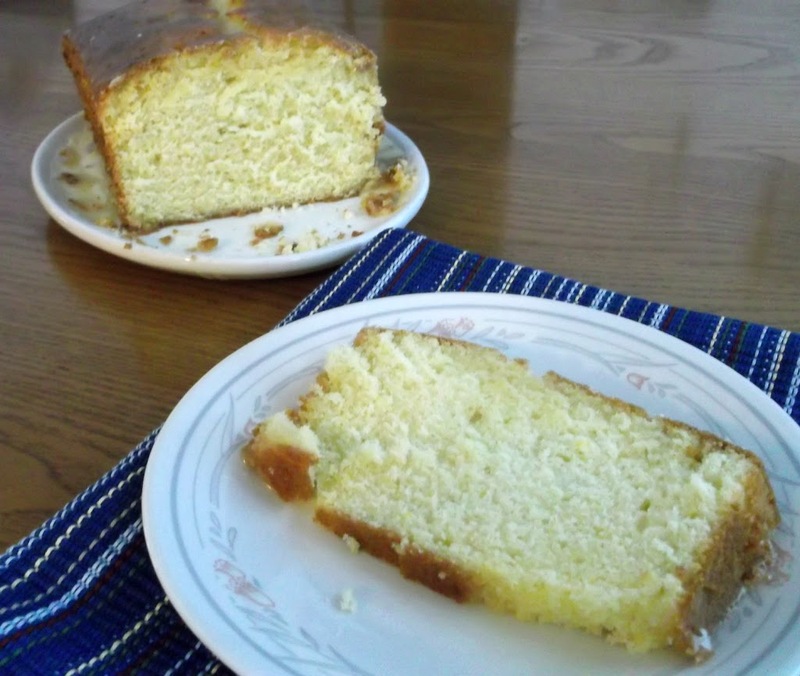 Today a pound cake is a rich, finely textured cake that contains flour, butter, sugar, and eggs. The modern day cake is smaller than years ago and artificial leaveners (baking soda/baking powder) are added. Preheat oven to 350 degrees F. Grease a 9×5 inch loaf pan and dust with flour. Mix the flour, baking powder, and 1/2 teaspoon salt together in a medium bowl. Cream the butter and sugar together in the mixing bowl with an electric mixer on medium high until light and fluffy (about 2 minutes). Beat the eggs in one at a time, scraping down the sides of the bowl as needed. Add the vanilla and orange zest. Don’t worry if the batter looks curdled, it is fine. With the mixer on low, add a third of the flour, then add half of 3/4 cup of orange juice, then add another third of the flour, then the rest of the 3/4 cup of orange juice, and finish with the remaining third of the flour. Pour the batter into the pan and smooth the top. Bake 45 minutes to an hour or until a toothpick inserted in the center of the cake comes out clean. Cool the cake in its pan on a rack for 10 minutes. Run a knife around the sides and turn the cake out onto the rack. Remove the cake from the pan and set on the cooling rack. Place the rack over a rimmed baking sheet. Mix the 1/4 cup of orange juice with the confectioners’ sugar and a pinch of salt. Whisk until smooth. Use a toothpick to poke holes (about 3/4 inch intervals) in the top of the cake, making sure not to exceed 3/4 of the cake depth. Brush the glaze over the top and sides of the cake until it’s all used. Let the cake cool completely (about 2 hours). Serve. I’ve never made pound cake. It looks really delicious. Pound cake is really good stuff. It’s great plain, or even better with a bit of added flavor – like this lovely orange one that you did. Really nice – thanks.